Spring has finally sprung and that means we get to start refreshing our wardrobes. Bright colors, fun accessories, light layers! Ahhh. What’s not to love about spring. If you’re looking for simple, classic, and effortless accessories to make your wardrobe come together in a sinch, look no further my friend. I’ve got you covered. Watch this week’s video to see all of my top picks for laid back French girl inspired spring accessories. I love these from & Other Stories, however, by the time you’re reading this I believe they will be sold out. So here are a similar pair from Old Navy of all places. I love these Gucci’s but who has $400 for a pair of sunglasses? Not me. At least not yet! So I found these similar looking ones on Amazon for $9.99. Grab yourself a pair in a shade that you prefer and catch some rays. I’ve long been a barrette addict. If you ever saw me in high school you’d see a side-swept ‘do clipped back with a plastic Hello Kitty clip or something of the like. My very own vintage barrette collection from Paris. Then, when I got a job at Robin Richman during my freshman year of college, my taste graduated to a 1960’s dead stock Parisian barrettes. You can find simple plastic barrettes anywhere now. I love these from Etsy. Or you can also search online for “vintage French barrettes” and see the wonders that appear! Gotta love a good pair of espadrilles. 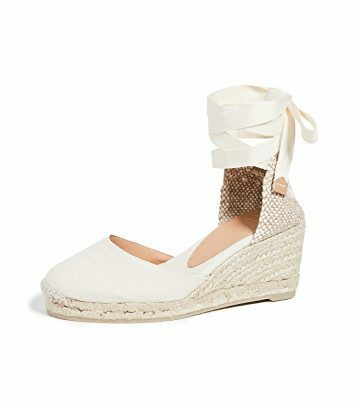 And nothing beats the Spanish-made classic Castaner wedges that basically every French girl owns. Since I have thrift store magic running through my veins I actually found these at my local second-hand store for $4.00! A legit basket and nothing else. Come on. What do you expect from me? 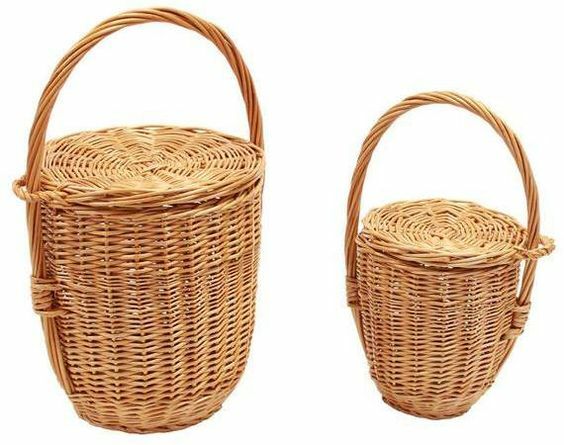 But seriously, straw bags are not going out of style and you can find many unique iterations of this at the thrift store. The Cuckoo B bag that I got on Amazon is sold out, but I’ve found several similar on Etsy that you can check out right here. All the bags featured in the video were found by me at the thrift store so I know you can find your perfect bag too! Let me know in the comments below what you’re most looking forward to for spring and which spring accessory you’re eye-balling for yourself! Brianna Lamberson is a Personal Stylist and Wardrobe Consultant. She helps fun and creative professional women crunched for time, revive their closets, style killer outfits, and shop for the essentials without any hassle. Are you ready to find your personal style in 3 simple steps? Instant download! I never share your email with anyone.